Why Choose Holistic Pest Solutions? When related to Pest Control, Holistic means that instead of treating your pest(s) directly, we want to know how and why it/they are there. This means we must perform a thorough inspection of your property to identify the contributing factors. Part of the process includes an interview with someone familiar with the structure and some of its history. This might be the homeowner, resident, owner, employee, etc. All of the information gathered allows us to treat the CAUSE, not just the SYMPTOMS of your problem. This provides for you, long term solutions to your problems with the least impact to your environment! Holistic Pest Solutions serves Charlottesville, Keswick, Ivy, Crozet, Hollymead, Earlysville, Afton, Waynesboro, Fishersville, Palmyra as well as the counties of Augusta, Albemarle, Greene, Louisa, Fluvanna, and Orange in the State of Virginia. CLICK HERE to view our client reviews. No one knows our work better than our clients do! bugging you and how we can help. CLICK HERE to schedule a complimentary inspection with Holistic Pest Solutions today! Excellent, responsive, helpful service each time! I have appreciated the willingness to call in advance to set up the date and time. Since we do tend to get big hairy spiders in the dark corners of the basement, I have a standing request with the company for them to call me the day before they come out, so I can make sure I'm home. They always do! The technicians are really friendly (my cat likes them too and always greets them! ), courteous and thorough. On the rare occasion we have an emergent need, they come out at no additional charge. And if I report something unusual, like the time we had a persistent "infestation" of fruit flies that we were killing by the hundreds DAILY with our homemade traps (apple cider vinegar with a touch of dishwashing liquid in a small bowl...gets them but good! ), they sprayed something down the kitchen sink's drain to kill the eggs (they breed in drains). We had poured bleach down there but they were still coming. HPS's treatment got rid of them! Sam has always given us excellent service and I am very satisfied with the care and attention he gives. I've been with you for less than a year, but I'm impressed. Other than a few ants from an extreme weather event, your service has been very good. Plus I don't have to worry about my dog! Thanks! We've been using the company for about four months and are very pleased with the service and the results. The personnel are very helpful and polite. We have been using Holistic Pest Solutions for over a year now and we are 100% satisfied with the service. Your technicians are always courteous and helpful and always do an excellent job. It is nice to see a company that still cares about customer service. Good job! We have been using Holistic Pest Solutions since summer 2016. Everyone on staff is friendly and reliable. Service is prompt and effective. We have been a customer for 2 years, they're always friendly & professional - and no more mice! Over the years the service has been excellent. Keep up the good work! Haven't had problems with spiders or ants since we started treatments. Always helps us get rid of yellow jackets and wasps too. We have been using Holistic since 2014 and always happy with our technicians and the level of service provided. Using HPS since many years. Great people, excellent service. We have been using Holistic Pest Solutions for 11 years. They have great customer service and I appreciate their ability to explain the services they provide in a way that anyone can understand. They are always professional, helpful and courteous. They are very knowledgeable. I recommend their services. Very professional and always here when they say they will be. Holistic has also helped us out on a couple of other one-time pest problems. Everything was always resolved and at very reasonable price. This was the first time we have used them. They were confident, professional, knowledgeable and provided a very fast service. They were also responsive. The initial treatment they came out and we will be on a plan with them. Just one employee came out and he stayed for about 30 minutes to an hour. The guy who paid the initial visit was prompt and instilled great confidence. He seemed to know exactly what he was doing, but he gladly explained various options--including how I might handle the problem myself. He was very reassuring when I expressed concern about protecting my dogs against any danger of poisoning. 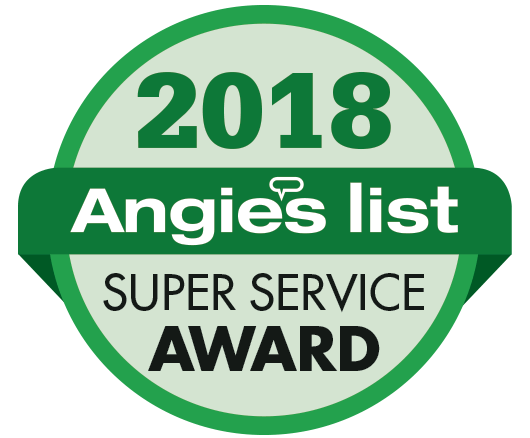 After our previous pest control company became unreliable, and even billed us for a treatment they didn't do, I asked neighbors for recommendations and the most commonly mentioned company was Holistic Pest Solutions. They come out every other month, if I remember correctly, and they have successfully kept the critters at bay. We have an unfinished basement and used to get a lot of spiders and even a lizard or occasional frog, but we see far fewer insects now (the inevitable ladybugs come in around the windows, but they do treatments around the windows to reduce the population). Ty came out twice for us to take measurements as well as walk us through the treatment steps. He is very punctual, professional, candid and extremely knowledgeable about all solutions. Since we have young kids and vegetable garden in our backyard and are more concerned than normal about potential impact on soil and surroundings, we asked lots of questions and even went back and forth about our decisions. Throughout our in-decisiveness, Ty is wonderfully patient to provide any information to assist our decision making effort. This is truly impressive and we would absolutely recommend Holistic to any friends for future businesses. These are some extremely professional people. I'm on a regular program with them because RATS appeared at my house via a problem sewer line somewhere in my neighborhood. They came promptly the first time I called, assessed the situation, made a plan, and reassured me that my dogs wouldn't be in danger. from the baited traps. (I still put a bolt lock on my cellar door, though, just in case.) I think it was about $280 dollars for the first visit, and then $50 / month. They always call the day before they come (though I don't need to be home since they bait in the cellar) and leave a note in the door about the amount of activity at the traps. A few months ago they suggested that I switch to every other month @ $70 rather than monthly service because the rat activity has dropped off significantly. I thought that was very honest of them. Holistic Pest Solutions is very responsive when contacted through their online form. I worked with Sam who was great and very honest in his assessment and pest control solutions. We discussed possible solutions to rodent issues as well as treatment for the cave crickets. Would work with again. The technician that did the service was very professional, cordial, explained everything in great detail and was very specific. He was prompt, courteous, and friendly. We had worked with two competing services for a couple of years each. Then 6 years ago we contracted with Holistic, and the experience was completely different: intelligent attention, super-careful concern about not exposing us, our child or our animals to danger, rapid response to new species emergencies. The work was more effective and timely and safer. We wish we had tried it in earlier years! Holistic is great, and I don't have to worry about my dog! Service fantastic--inspector came to the house on very little notice. Professional and knowledgeable. Did not try to sell any unnecessary services or chemicals. Thorough inspection. Will definitely call this company for any future pest needs. Awesome company, awesome customer service. We have used HPS for over a year now, and have always been pleased with their services. Stinkbugs, carpenter bees, etc. gone! Ty came out to do a "stink bug treatment" on our new house and he was so easy to work with and the treatment has worked so well!! It was scheduled for one day and that unexpectedly ended up being the day our movers moved us into our new house, so Ty rearranged his schedule to work with our schedule and he came back the next day to finish up after I called and saw a bunch stink bugs appearing. After he came and sprayed, the stink bugs haven't come back! Great customer service! I found HPS to be very personable - spending more time than I imagined - listening to me and educating me - advising me about how to keep the situation under control and the fee was very reasonable. Thank you once again for getting rid of mosquitos from our yard!! You all are amazing! If anyone in the Charlottesville area needs help with getting rid of pests and wants to protect their children and pets from harmful chemicals, Holistic Pest Solutions should be your first and only call.